[[Map of world with North America centered. An "x" is placed near east coast. Asia is labeled "The East" and Europe "The West."]] 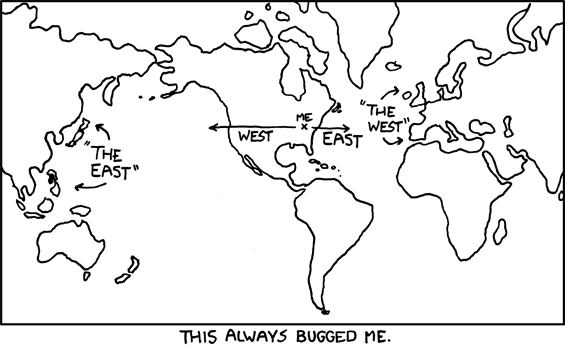 "The East" <- West x (me) East -> "The West" This always bugged me.